It’s common to have multiple Google Accounts connected in your browser or Gmail. 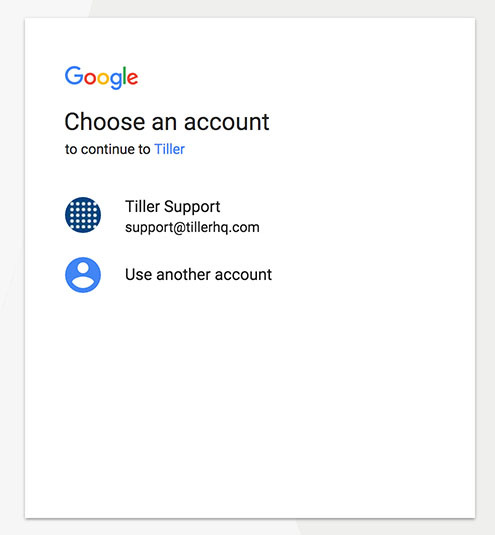 Make sure you log in with the right account otherwise you may end up creating a new Tiller Account. Google Chrome works best with the Tiller service and if you use this browser we recommend that you create a separate browser profile for the Google account you have authenticated to your Tiller account. Learn more about setting up Google Chrome profiles.